In a recent study, researchers reviewed the safety and efficacy of the stevia sweetener by discussing the properties of the stevia leaf. Stevia rebaudiana is a shrub that can be found in Brazil and Argentina. Stevia leaves contain steviol glycosides, which makes up the extracts of the leaves that are useful as sweeteners. The extracts tend to not be completely pure, which could explain the bitter aftertaste in products using the sweetener, so efforts have been made to purify the extracts better. There are many different types of steviol glycosides, but what many share is the fact that they are usually made of steviols, which is the backbone of the stevia sweetener molecules. Most steviol glycoside-derived sweeteners are allowed to be used globally, as long as they are highly purified and meet certain standards. Samuel and colleagues have created a comprehensive review on the stevia sweetener in order to educate health professionals and the general public on its safety and efficacy. This study was published in The Journal of Nutrition. How are steviol glycosides metabolized? Steviol glycosides are indigestible, and are instead, usually digested by the bacteria in our gut (likely bacteroides), which may then use the broken down components for energy. This could explain why these sweeteners are considered to have zero calories. Steviols, the backbone of the stevia sweetener molecule, may be sent to the liver to be metabolized and then eventually excreted. Overall, extensive literature reviews seem to suggest that different types of steviol glycosides may be similar in the way they are metabolized. How safe are steviol glycosides? Highly pure steviol glycosides are considered to be safe to eat, but crude, impure extracts have caused fertility issues in animal studies. In a study done on rats fed varying doses of steviol glycosides over two years, they did not find any cancer development at all tested doses. However, at the highest dose, they did see changes in the kidneys, body weight, and survival. No adverse effects were seen in the animal studies done to determine their effect on pregnant women and children using high purity steviol glycosides. Many of the studies examined in this review have the stipulation of an acceptable daily intake (ADI) that individuals should adhere to. Based on evidence from a series of publications, it has also been shown that steviol glycosides are not genotoxic, meaning they do not seem to affect the cells’ genetic integrity. In addition, studies done on human safety have shown that certain doses of the stevia sweetener (steviol glycoside) had no adverse reactions to blood pressure or fasting blood glucose in diabetic or healthy subjects. Since the sweetener is derived from a plant family close to other plant families that have allergenic properties, a literature search was done to assess the allergenic ability of the steviol glycosides. They found no such evidence of allergenic ability, but have had instances of allergenic ability in the more crude extracts. Overall, the purer forms of the stevia sweetener seem to be safe for all people, including those with diabetes. Some research suggests that steviol glycosides are beneficial contributors to the management of blood glucose levels instead of regular sugars. In longer studies spanning a couple months to a year, they seem to have overall neutral effects. In addition, steviol glycosides don’t seem to be cariogenic compared to sucrose, but this would have to be further evaluated with more long-term studies. In conclusion, organizations such as the Academy of Nutrition and Dietetics, the American Diabetes Association (ADA), and the American Heart Association (AHA) generally agree in terms of the use of stevia sweeteners for purposes related to approved nutritional and diet plans. Despite this, some policy and scientific positions on stevia are still lacking, which affects how healthcare workers decide how to implement advice on stevia sweetener use to the general public. More scientific research and firm education are needed to address these concerns. Reference: Samuel, P et al. 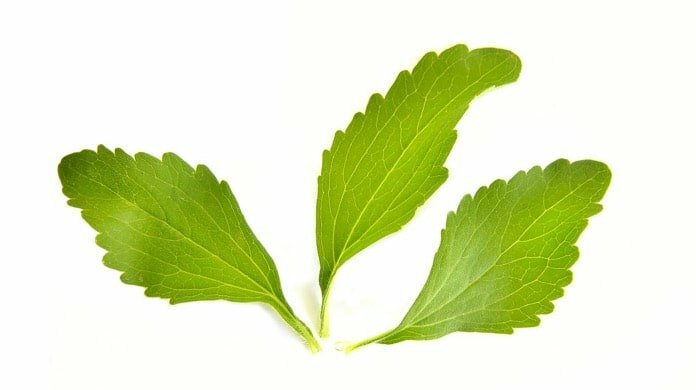 Stevia Leaf to Stevia Sweetener: Exploring Its Science, Benefits, and Future Potential. The Journal of Nutrition. 2018;148(7):1186S-1205S. doi: https://doi.org/10.1093/jn/nxy102.